Founded in 1980, Dytran Instruments, Inc. is a leading designer and manufacturer of piezoelectric and DC MEMS sensors, and has been serving the test and measurement community with innovative products and outstanding customer service for over thirty-two years. Their expansive product line includes piezoelectric and DC MEMS accelerometers, piezoelectric force and pressure sensors, impulse hammers, cable assemblies and support electronics. 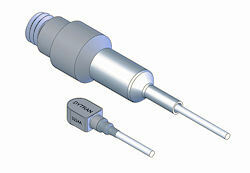 Dytran sensors can be found in a myriad of interesting and challenging applications on land, underwater and in the air. Founded by well known sensor industry veteran Nick Change in 1980, Dytran Instruments has its origins as a small piezoelectric sensing house specializing in the design and manufacture of accelerometers, load cells, pressure transducers and impulse hammers. Since its founding, Dytran has built a solid 30+ year industry reputation for trusted, field proven experience in the design and manufacture of sensors for dynamic testing. 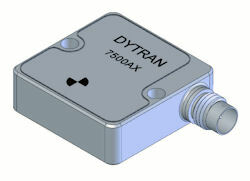 Today, Dytran's broad product line also includes single axis and triaxial DC MEMS style accelerometers utilizing state-of-the-art variable capacitance accelerometer sensing elements. Headquartered in Chatsworth, California, USA, Dytran is located approximately 30 miles northwest of Los Angeles in the San Fernando Valley. The corporate headquarters is home to a 30,000 square foot, AS9100 and ISO9001:2008 certified manufacturing facility, and incorporates the use of state-of-the-art equipment, manufacturing amenities and product testing facilities to ensure high throughput, high quality end product. 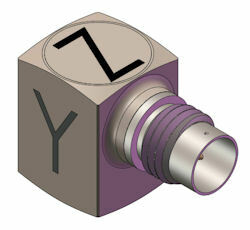 This infrastructure affords Dytran the capabilities to custom design and package nearly any sensor, connector or cable to precise customer or program requirements with highly competitive pricing and lead times. Calibration services are A2LA accredited to the ISO 17025 standard, ensuring product quality and uniformity, all tested according to rigorous in-house standards.